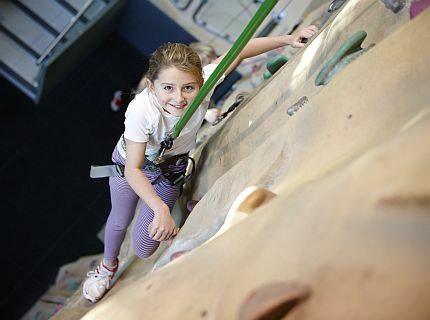 Reach new heights on the LC's 30ft Climbing wall! Give your child a birthday party to remember on our 30ft climbing wall. Our wall has an automatic belay system which means you can climb without any help (of course we'll still be there to give you a hand!) for the height of excitement, book a climb party today!